2016 is winding down, and it's time for everyone to start putting together their awards lists. The Game Awards, produced and hosted by Geoff Keighley, has just released its list of nominees, and it's a pretty contentious one. Uncharted 4 leads with nominations in eight categories, while Overwatch, Inside, and Firewatch all tie for second place with five nominations. I can't say I'm surprised. GamesRadar's own Golden Joysticks Awards - which airs November 18 at 3pm GMT / 10am Eastern - also made Uncharted 4 its most-nominated game of the year. 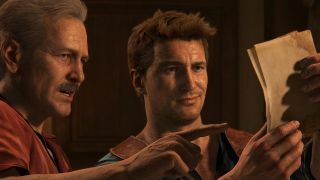 Naughty Dog went to ludicrous extremes to make its final adventure with Nathan Drake a memorable one. But will it sweep its respective categories? We'll have to wait and find out.